Perth is a long way from anywhere - a six hour flight from Sydney and about eight hours from Kuala Lumpur or Jakarta. But it uses its isolation to its advantage - it's so far from anywhere else that it has to have EVERYTHING. Everything drenched in sunshine and pressed up against the horizon nudging beaches it's known for. 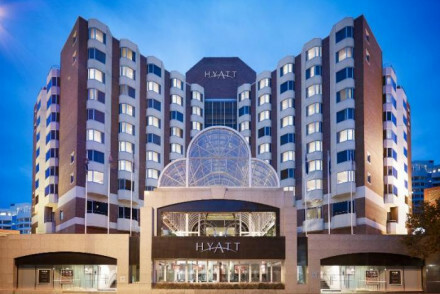 Visitors to Perth will benefit from having access to a car for at least some of their visit, but some of the best places to stay in Perth are an easy walk from many of the main attractions or short bus ride from the beach. At the top of Perth's list of charms is the colonial architecture, vibrant arts scene and cuisine. Built on fertile ground beside the Swan River, between the Darling Ranges and the seafood-abundant Indian Ocean, Perth's bountiful fresh food markets have fuelled a thriving foodie culture, assisted by the wines of Margaret River, just a short drive south. Some of the best food markets can be found in Subiaco and Fremantle - which also has an excellent weekend market. Though of course that fails to mention Perth's physical charms, the spectacular Kings Park in the centre of town, with views over the city, old and new, and the Swan River. Then there is that 80km stretch of sand perfectly positioned for magical sunsets. Perth is a relatively safe city for visitors and both the parks and the beaches are charming places for strolling at dusk. When it comes to beaches Cottesloe has some surfing and the charming old tea house, Scarborough is long and white and calm, Swanbourne has the naturist portion and Brighton and Trigg are favourites with the locals. Beyond the beaches are the National Parks for all the hiking, biking and horse riding you ccan manage. The drama of the Pinnacles, strange rocks like free range stalagmites growing right out of the desert. Take a day trip down to Monkey Mia to meet the local dolphins, or head over to Rottnest Island to meet the curious quokkas, endemic tiny wallabies. But you don't need to go out of town to meet the local fauna, Perth has a good zoo and aquarium. 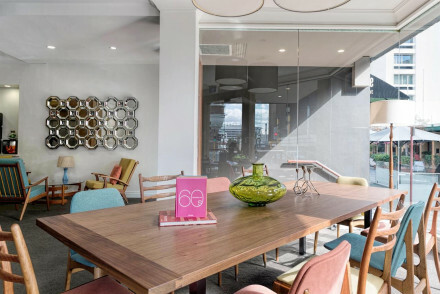 Our pick of the best places to stay in Perth vary from sleek, luxury pads to a charming townhouse set in the old city centre. 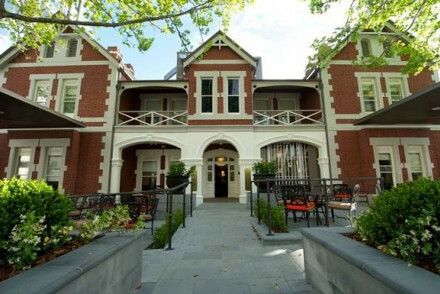 Perth is full of charming old colonial buildings of which The Terrace Hotel is a great example. 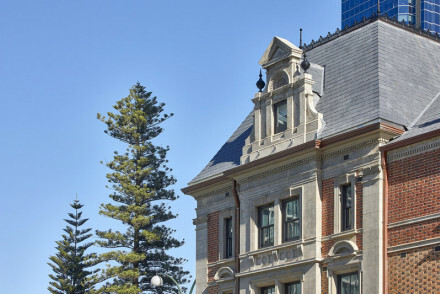 There are just 15 rooms, decorated with a mix of old and new right in the heart of Perth's old city just below Kings Park. Como, The Treasury was once, you guessed it, the Treasury, now an elegant 48 room hotel with a grand Colonial feel. There’s a smart cocktail bar and two fine dining restaurants as well as a large spa and a pool with beautiful city views. 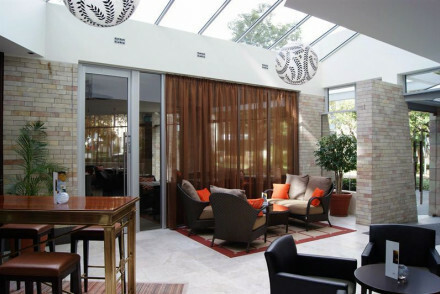 The Richardson Hotel & Spa in West Perth is a spacious and elegant hotel with a glamorous spa and lush gardens just a short stroll from Kings Park and the Botanical Gardens. 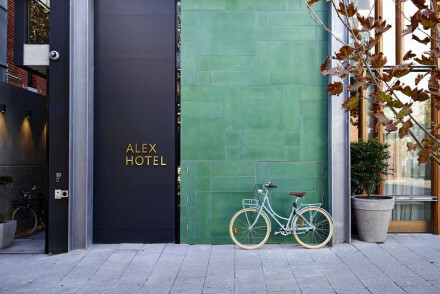 Brought to you by a cool brewery, the Alex Hotel is equally cool, with 74 contemporary rooms, a chic lounge and rooftop bar and a great restaurant. It’s in a hip spot too. 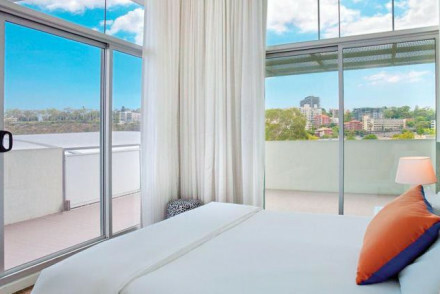 The Adina Apartment Hotel is a collection of apartments, some which can be connexted, with great modern facilities in an unbeatable location just below Kings Park. The onsite gym and pool make this a perfect spot for families or groups. 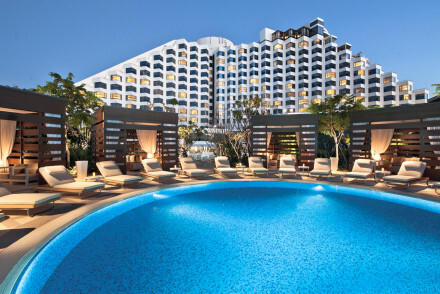 The Metropol Perth, with its resort style facilities, is an easy option for families. The views, from modern, comfortable rooms are amazing and there are plenty of the in-house comforts you'd expect from a large, resort-style hotel. 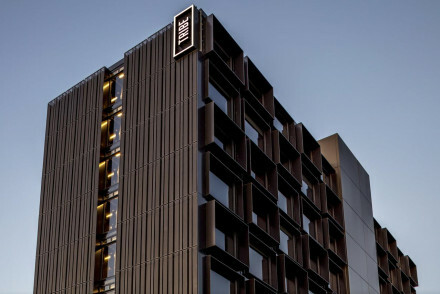 The Adina Apartment Hotel is a collection of apartments, some which can be connected, with great modern facilities in an unbeatable location just below Kings Park. The onsite gym and pool make this a perfect spot for families or groups. Rooms start from around £110 per night. From March 2018 Qantas will fly direct between London and Perth Airport - it will take 17 hours, but that’s good going for a flight to Australia. You can also fly out of other UK airports, and Perth International is well linked to the rest of Europe, mostly via Schipol. From the airport you can catch a minibus transfer or a local bus to Elizabeth Quay Bus Station. It’s about AU$25 in a taxi to the centre of town. If you want to hire a car - which we highly recommend if you’re staying in Perth and want to see anything of the rest of Western Australia - we recommend you visit our online partner Rentalcars. Perth is sunny all year round, and during summer - December through February - it can hit a dry baking 40 degrees. It’s nicer by the water, so if you like hot weather then come on down, but otherwise you might enjoy your visit more if it was between September and November - Perth is just beautiful with wild flowers during spring. It’s fairly mild in winter and autumn too. Or refine your search to nearby Margaret River?